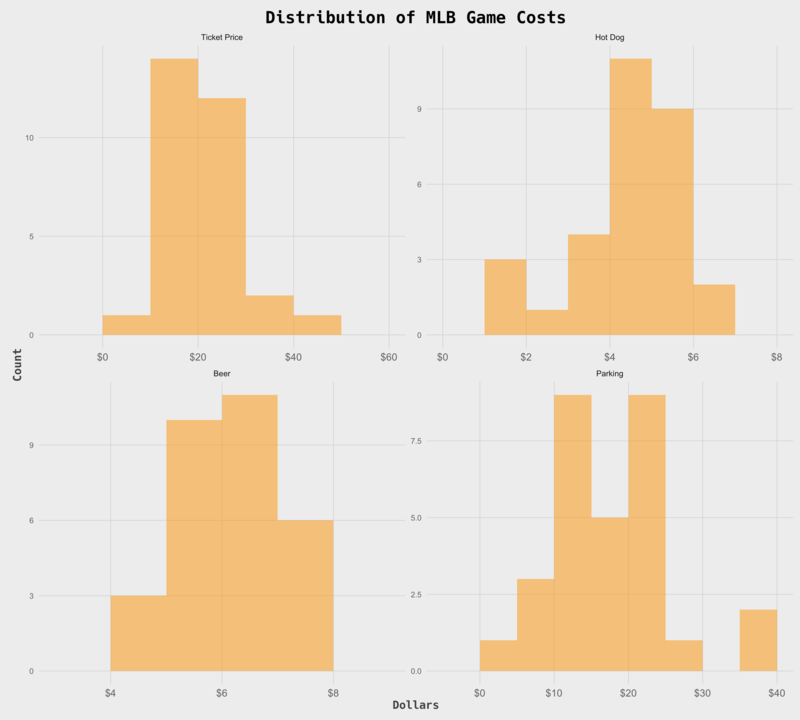 This post is a look at how affordable it is for people living in the direct vicinity of a stadium to go to a baseball game. I classify direct vicinity as a county for several reasons discussed below. This isn’t about policy or fairness, just a look at some data I got my hands on. Enjoy! I chose the county level primarily because stadiums often are in areas with very few residents (Industrial parts of the city and downtown). For Toronto, I had to make an exception and use city data, because the province of Ontario is much larger than any county in the United States. Data was gathered from the U.S. Census 2014, Canadian Census 2013 and data gathered by GoBankingRates. 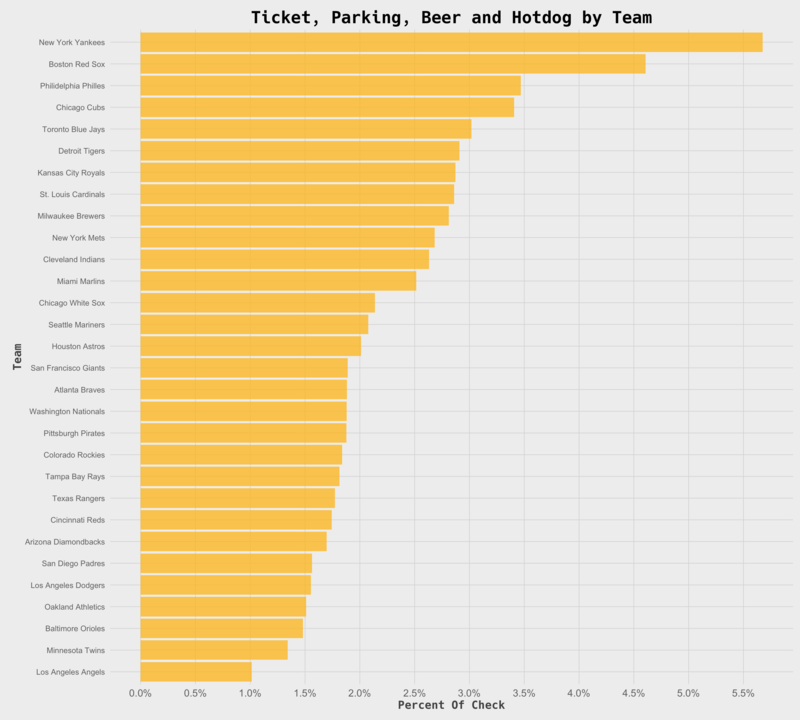 One difference between my analysis and the original data is I divided by 2 to get 1 ticket and concession price. I felt like 2 was arbitrary and looking at one gave a better idea of how expensive it was for a median person to go out to a game. I also converted Canadian dollars for U.S. dollars at the exchange rate on 4/22/2016. I compiled it all here for anyone interested. Here is an interactive look at each team, the population in it’s county, the median income and the percent in poverty. Perhaps a more dynamic sliding window of county/zip code would have been a better approach. For example, the New York Mets play in Queens but it’s probably true that people from all Boroughs, New Jersey, Connecticut and Up State New York attend games there. In order to get that kind of nuance, I would have had to do more research than I wanted to. 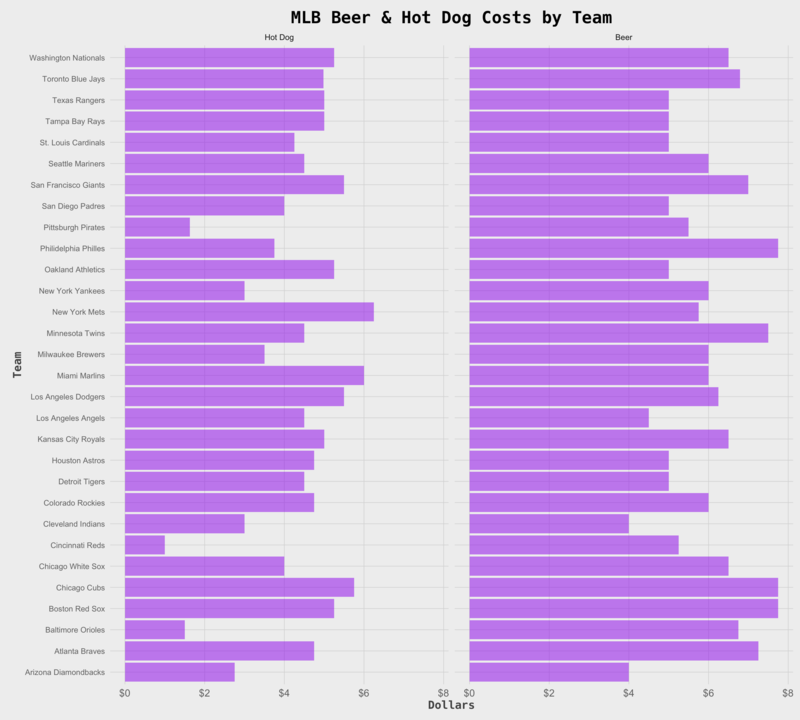 If anyone has insights into that for each team I would love to collect this data and revisit it. 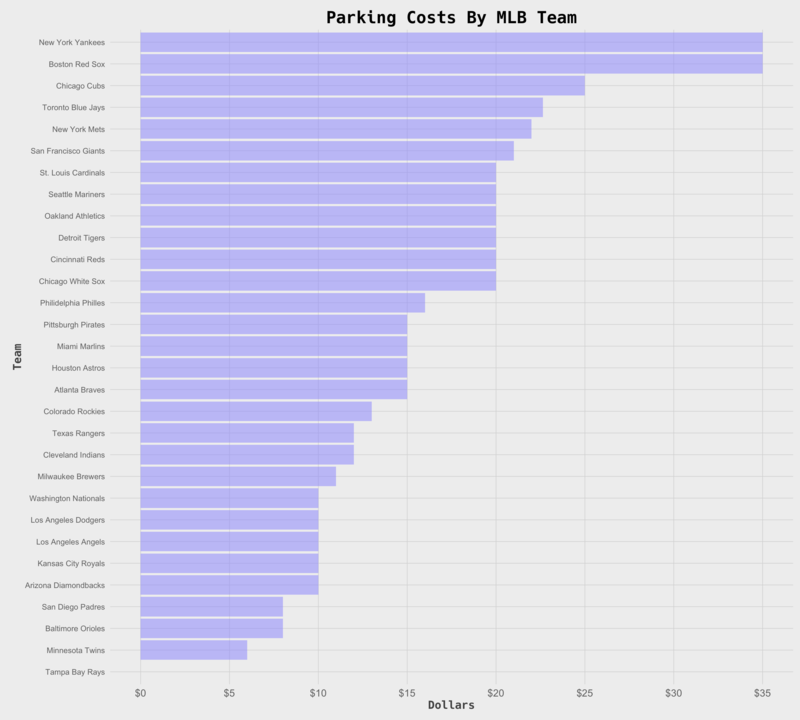 Another example of this is Kansas City Royals. Kansas city straddles two states and the dynamics of that should be considered as well. I had to make a few adjustments with Toronto, discussed above. We’re dealing with two different countries, so I did what made the most sense. Finally, the the actually cost of attendance data was from a third party and not the MLB itself, so it requires some fact checking. In my checks it was accurate. You can find a gist here.